You see it all the time on the streets and in the news where some criminal-minded thug grabs hold of his next victim with the intent to do her harm. While some politically correct believers say the best response is to just “talk nice” to your aggressor and he’ll stop. Well, I don’t think so. Instead, I think you need a Quick Escape Plan so you won’t be the next victim of aggravated assault that I see in the news. Hi, I’m Mike Sbonik, founder of the M.A.D. Defense Academy™ LLC, an online resource community for those self-reliant folks who want to learn to take care of themselves, especially in aggressive or dangerous situations. 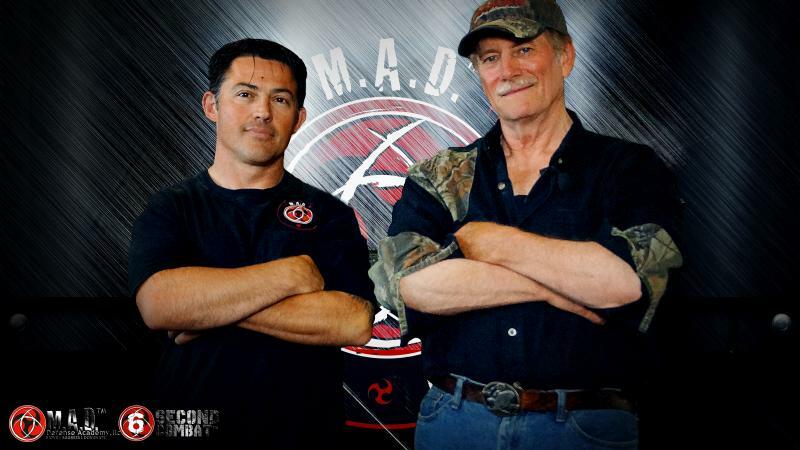 He is a Christian martial arts instructor who taught thousands of students from all walks of life with experience spanning over four decades. He holds Master belts in many systems and weapons, but more than that, he is a person that was challenged to many bare-knuckle street fights. In fact, he actually had a bounty on his head from a local biker bar to anyone that could knock him down. No kidding, it sounds like a movie script. So let me show you what Mark teaches to escape quickly when someone grabs your wrist with the intent on doing you harm. Step 1: first thing to remember is to think “not me, I will not be your next victim. I’m not going down without a fight.” This thought process will put you in the proper frame of mind to be ready to fight for your freedom and it kicks up your adrenaline. Attackers hate it when you fight back. They want easy, compliant victims. But don’t comply. It’s better to escape early in a situation than to wait and see what will happen to you later. While keeping your elbow as close to your body as possible for leverage, begin to roll your arm and wrist towards his thumb side in a circular motion. For example see the picture, if he grabs your left wrist with his right hand, you will use a counter-clockwise circle. This circle motion against his weak thumb will break his grip in one simple circular move! Step 2: continue to roll your hand until it is on top of the aggressor’s hand. Now you are in control and you ‘turned the tables’ on your aggressor. You now have a choice on how to finish your attacker. Your situation will dictate this. If this person wasn’t really trying to do harm or you feel he will leave you alone now without escalation, then just “seek your escape” by simply shoving his arm down and away and back away from the attacker. But if you still feel threatened then I suggest “creating justifiable damage.” In this case, you would want to target some vital spots to create nerve pain which will stun and halt your attacker; giving you time to get away. One good set of finish moves is the right hand claw to the eyes and right knee to the groin. This should all be practiced in the air and with a friendly helper until you get the motions down with repetition. Please train in safety. You want to develop your neuro-muscular imprint so that your body will follow this movement at the time it is needed. Now you give it a try.